MASTA is a complete suite of CAE software for the design, simulation & analysis of driveline systems from concept through to manufacture. Design gearbox and driveline systems from scratch or imported concepts. Accurately and rapidly design transmission systems from scratch or imported concepts. Comprehensively understand the life of a mechanical part over the customer duty cycle. Identify potential failure modes early in the product development cycle. Rapidly predict key performance characteristics at the design stage. Easily explore changes in transmission layout, component selection and/or design, materials and manufacturing processes in the convenience of a virtual environment. Perform full system simulations for any transmission or driveline configuration. 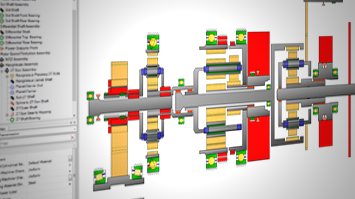 Incorporate manufacturing simulation at the design stage to reduce process development time & cost. MASTA’s unique and modern architecture written from the ground up in C# makes it a significantly more stable comparative solution for current and future operating systems. Design entire transmission and driveline systems using a comprehensive selection of components and design databases. Durability analysis for gears, bearings, shafts & splines. System Deflection Analysis & Optimisation. System NVH analysis & optimisation. Shaft Fatigue & Stress Analysis. 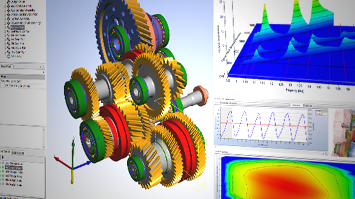 Gear Cutter Design and Manufacturing Process Simulation. Isight interface for multi-parameter global optimisation. MASTA was an essential tool that helped achieve the goals we wished out of the designs in a relatively short period of time.